Being a FYWP Graduate Instructor. 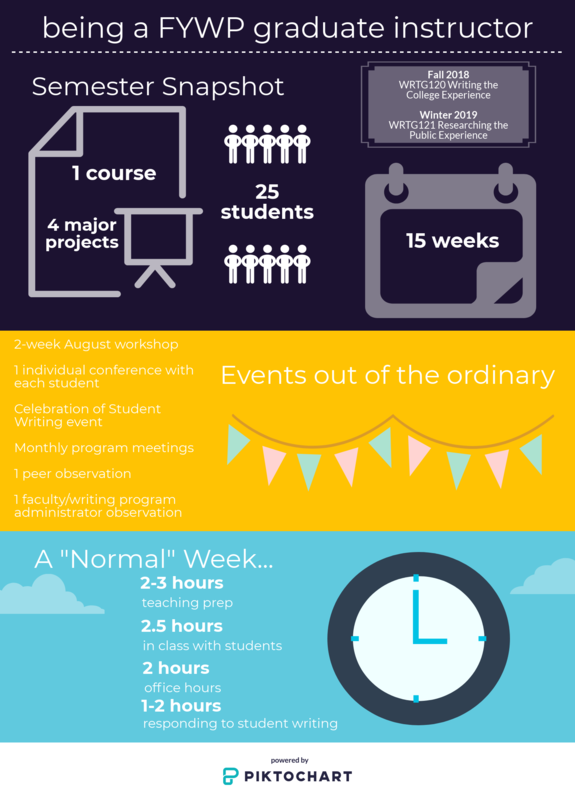 The infographic orients prospective graduate teaching assistants to the position, offering a semester snapshot that accounts for typical weeks and special events. Developed by Rachel Gramer, Associate Director of the FYWP.